The boys have decided to make a quick stop off on their way up to Sydney for A Day At The Pub Festival. 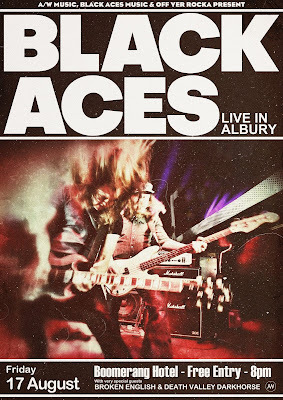 Last time out in Albury was an absolute corker, and this time round will be no different. They hit the Boomerang Hotel, Friday August 17th with special guests and local lads Broken English and Death Valley Darkhorse, and its bloody free! What more can you ask for on a Friday night out. Come for a beer, stay for the rock n roll. Be there!!! 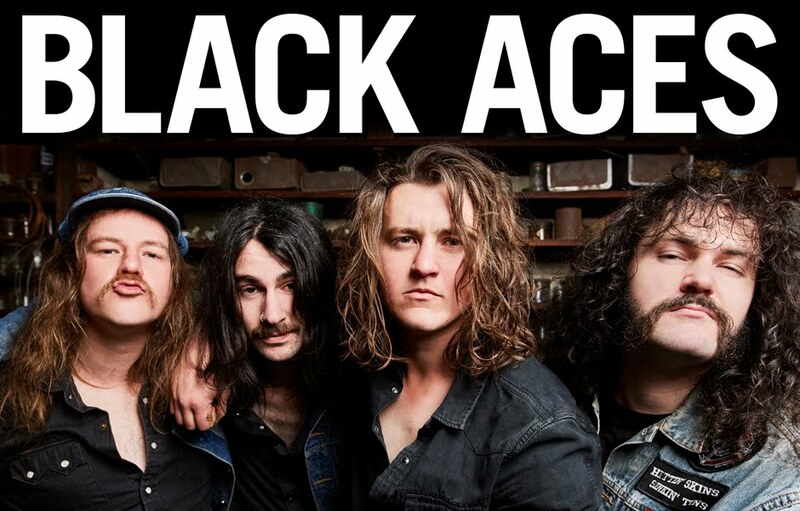 100% Aussie Rock And Roll! See you at the bar! © 2013 Black Aces Music, ABN 75 694 983 230. Picture Window theme. Powered by Blogger.